Move out & End of Tenancy Cleaners SE Central London | Quality Property Care Ltd.
You may be pretty self-confident in your cleaning competencies, but when it comes to cleaning at the end of your tenancy contract - or as it is also referred to - deposit back cleaning, it is a great idea to rely on some professional help. Quality Property Care Ltd. offers a professional end of tenancy service to meet the home and commercial end of tenancy cleaning requirements of the people and firms of Central London SE and the region. The post tenancy cleaning firm provides a great quality cleaning service which arrives with a 48 hour quality guarantee and at an incredibly competitive end of tenancy cleaning rate. Contact our phone 020 3746 4287 or fill out an online request to get more details on the rate and conditions for scheduling our expert tenancy cleaning service. Quality Property Care Ltd. has been providing professional cleaning services to the residents and firms of Central London SE since 2005. One of the specialties supplied by the trained and expert cleaners is the move in and out cleaning service. End of tenancy cleaning is required when tenants are moving out of a residence or apartment they have been renting. The real estate agency approves the cleaning and the condition of the house prior to giving the deposit back to the departing tenants. Our company has lots of years of experience of doing work with the largest agencies and property managers, and based on the expertise and the requirements of the property owners and managers, has developed a full deposit back cleaning checklist for its cleaning groups. We clean out cupboards and storage, we clean inside eliminating any remaining foodstuff and packages. Expired meals we throw away one which is still useful we put to one side for the customer or give away to a shelter close by. Marks around the grips are eliminated and leftover items are thrown away. The trash bin is dusted and cleaned on top and under, the soap dispenser is also washed. The sink is cleansed and drained then simply wiped dry. We clean and dry the wall tiles all over the sink, whilst also removing food and soil deposits around the sink if any. We also work on the appliances in and out, removing food remains. To prevent candica expansion and remove odours we utilize anti-bacterial detergents with long lasting effects with no any dangerous consequences on humans or pets. The service is appropriate for the cleaning of both commercial and home properties, our workers do not leave your place until the job is completed. As this is not an hourly based service you will be charged based on requirements such as rooms amount & size, what you want cleansed and so forth. Time is certainly not a restriction for our team nor is the location as we operate throughout the entire Central London SEregion as well as the Greater London area. The service itself is appropriate for property owners, tenants, property managers and building managers, with exclusive rates for each one, depending on the volume of the order. 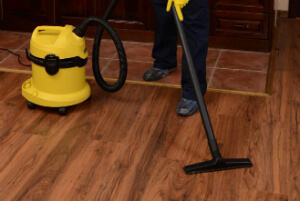 We clean the whole property or certain rooms, with no restrictions on where and what we can treat. We thoroughly clean the kitchen, bath room, hallway, stairwell, living room, the home furniture, all over the doors, on top of the doorframes, in your sleeping rooms and so forth, all done skillfully and with no dangerous chemicals. The end of tenancy cleaning company Quality Property Care Ltd. demands that the tenant has relocated out all individual items just before the end of lease cleaning can be carried out. In order to assist the clients with that, the company also offers professional packing services and provides packaging materials for the possessions, and also a man & van service, that could quickly and easily move out all belongings, so that the cleansing can start. In addition, clients can order outdoor window and gutter cleaning, garden maintenance, junk removal and handyman services. For landlords, property managers and agencies, the firm also gives you a particular pre-tenancy service as well as regular cleaning services. Don`t forget to make a booking for our excellent end of tenancy cleaning service. We now have particular discounts on early booking! Receive a free quote today! Call 020 3746 4287 right away - we are adaptive enough and understanding and we will make you an appointment in a most convenient for you time!